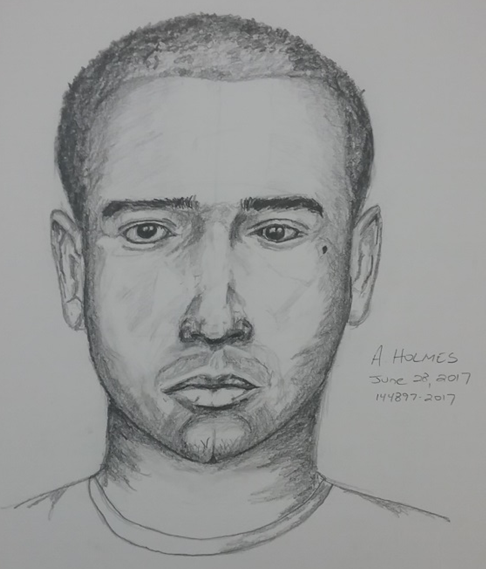 The pictured subject is a person of interest wanted for questioning regarding a sexual assault offense that occurred late Monday afternoon, June 26, 2017, near Spring Valley Road and Maham Road. The suspect entered the female victim’s apartment, threatened her with a weapon, and sexually assaulted her. The subject stole property from the apartment and put the property into a Black Chrysler PT Cruiser with a Dallas Cowboys Star emblem in the center of the rear window. This offense is documented on case number 144897-2017. The subject is a Latin Male, 23-25 years old, approximately 5’7” tall and 170 pounds, with a mustache. The subject has tattoos on both arms and a mark underneath his left eye. If anyone has any information on the identification or location of the above pictured individual, they are asked to contact the Dallas PD Sexual Assault Unit by phone at 214-671-3593. If you wish to remain anonymous, please use the Crime Stoppers information below.